We summed up some of our favorite new workouts, treatments, and spas around town. There's no shortcut to good health. You need to invest either way: sweat or money. Time Out rounds up the new ways to live well, and look good, in Bangkok. Aerial yoga has gone out of fashion. Now everyone is talking about a new dance-based class at Stories to Tales Theatre that involves having your hip hoisted up by a harnessed bungee jumping cord. Bungee Dance, here designed by professional dancer Sivavut Mathong or “Kru Art”, focuses on the core muscles particularly the lower abdominals. This workout fuses acrobatics with dance; you are expected to perform a variety of dramatic routines, including plunging down the floor and leaping into the air while gracefully holding up your posture. If you want to take it up a notch, try the more advanced vertical wall. A well-defined muscle tone, as well as Instagram-worthy photos, is guaranteed. If you’re aiming to sculpt a strong body without getting bulky, take off your gym trainers and plié your way to a barre workout. This exercise, which blends ballet postures with yoga and Pilates, focuses on small, repetitive movements that fire up the muscles. Channel your inner ballerina while going through routines that require the use of your body weight as resistance. The well-known barre fitness studio from New York, Physique 57, has opened a branch in the city at Erawan Bangkok. The studio promises improved posture, muscle strength, and weight loss—but only after you’ve gone through a series of 57-minute classes. Aquabiking Bangkok offers spinning cardio workouts with the lower body submerged in water. Though the workout may not be as intense as indoor cycling, Aquabiking is by no means less challenging. The water provides good resistance without taking a toll on the joints. Muscles also tend to build up less lactic acid when in water so you wouldn’t feel as sore as you usually do after a regular spinning class. You can choose to join any of the multiple classes provided by Aquabiking Bangkok, from Aquabiking RPM, which focuses on weight loss, to Aquabiking Sculpt, which incorporates dumbbells to strengthen your muscles and tone your body. 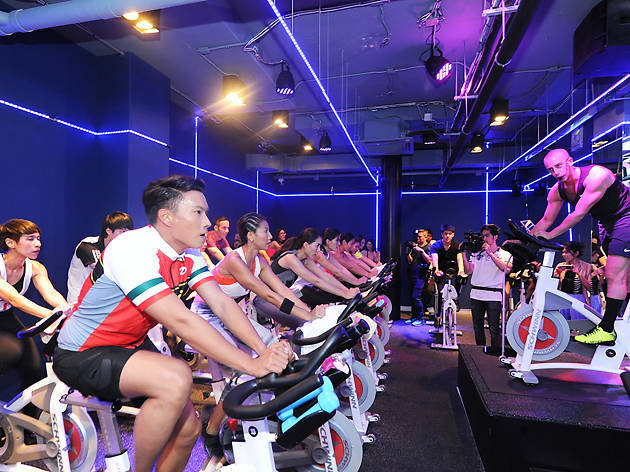 One of America’s most popular workouts, Rhythm Cycling, has finally arrived in Bangkok. Favored by New Yorkers, Rhythm Cycling energizes attendees with vibrant lighting and upbeat music, promising you won’t get bored throughout the 45-minutes session (that’s 500 to 800 calories burned). 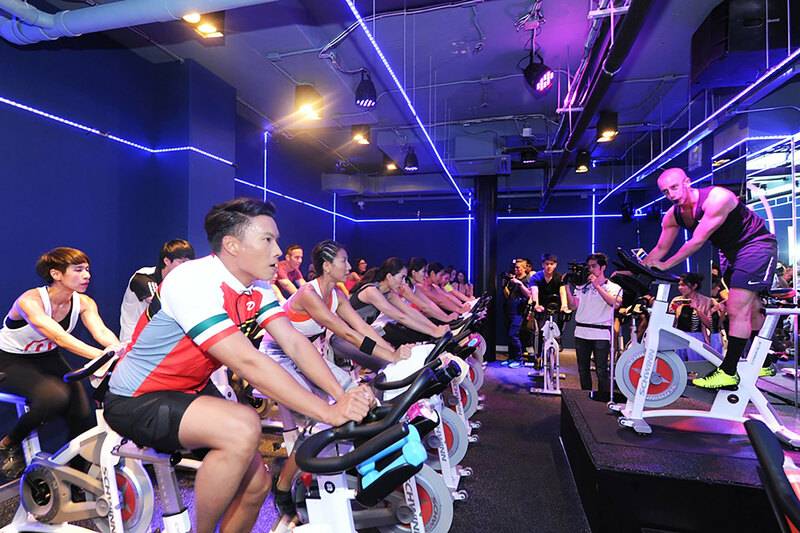 The second Rhythm Cycling Studio is set to open at Amarin. Free yourself from gravity, of disturbing sounds, bright lights and all of life’s little bothersome details by submerging your entire body in a pod filled with skin-temperature water (35.5 degree Celsius). At the Float Center, all your worries dissipate as you lie still in water mixed in with Epsom sea salt solution. It’s this salt that keeps you afloat. Being able to levitate is great, but what gets us really excited are this dream pod’s benefits—floating helps alleviate stress, injury and physical pain by bringing you to a deep meditative state. The floating room is quiet, plus you will be given earplugs to block out noise. A 60-minute session costs B1,950 while a 90 minutes sets you back B2,450. The Float Center is now located at Enterprize Park in Bangna but will relocate to new entertainment mall, Show DC, on 20 September. The latest innovative laser machine, PicoWay Resolve, from the US hits Bangkok’s beauty-obsessed scene. This breakthrough technology uses ultra-short laser pulses to target signs of aging such as skin pigmentation, wrinkles, fine lines and skin irregularities. The treatment also boosts collagen and elastin production, brightens the skin and increases its flexibility. Even better, there’s no downtime involved and each session only takes 20 minutes (go during your lunch break). It will take about six sessions (one every month) to maximize results. 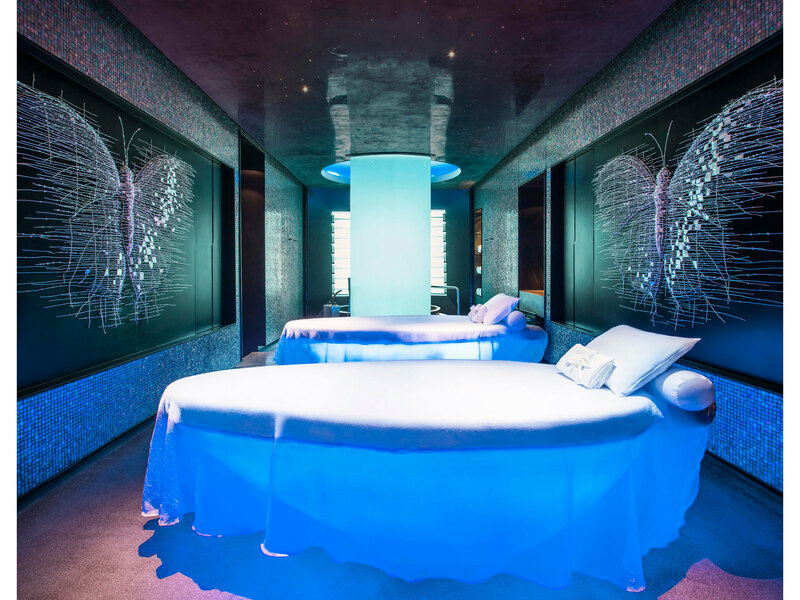 The grand facelift at the Mandarin Oriental’s Garden Wing also included the introduction of a new Spa Studio, a four-room spa focusing on manicures, pedicures, facial treatments and a quick massage. The nail treatments are provided by world-famous hand and foot care boutique, Bastien Gonzalez, while facial treatments are delivered using products from QMS Medicosmetics from Germany. The luxury space also offers a waxing service and quick massages. Away Spa is not new, but this treatment is. The Diamonds are Forever treatment aims to cleanse your skin thoroughly with pure diamond powder, promising a more radiant-looking complexion. This two-hour treatment begins with a 30-minute body scrub followed by a 30-minute diamond body wrap and a 60-minute diamond oil massage. Harnn, Thailand’s leading luxury spa and skincare brand, has never failed to impress us. So when its founder and managing director, Vudhichai Harnphanich, disclosed that he’s opening a new spa right in the heart of the city, ours expectations ran high—and we weren’t disappointed. Harnn’s new flagship offers spectacular views of downtown Bangkok and the Petchabun Palace, the royal residence that was actually the main inspiration for the spa. Guests are welcomed into a lavish black lobby, where you need to push one of the glass panes to enter a tranquil space bathed in pale green, the color of the Petchabun Palace. Oriental elements, which have always been the signature of the Harnn brand, are once again used to dress up the sophisticated interiors. The spa is home to 10 treatment rooms—some of which feature a bath tub and steam room—where expert therapists offer various facial and body treatments named after and inspired by the neighborhoods of Bangkok.